Following the recent release of C++ Builder (RAD Studio) Tokyo 10.2.3, can you advise when there will be an updated FMX TeeChart library that supports it? 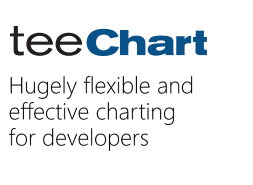 We are working on the next maintenance release but TeeChart v2017.23 still supports Tokyo 10.2.3. Have you reinstalled your TeeChart Pro? Note the Update reinstalls the IDE and the components shipped with it - TeeChart Standard/Lite included. The Library and Include paths may be correct, but the Standard/Lite packages should be moved away from their default locations; otherwise the compiler finds them before finding the Pro version. Many thanks Yeray. Re-installing TeeChart has fixed my issue.